Fine jewelry from Houston Jewelry makes the perfect gift to give this Valentine’s Day! It’s hard to find a gift that says “I Love You” more than a stunning piece of jewelry. February 14th is the traditional day when romantics convey their devotion by exchanging gifts of endearment. 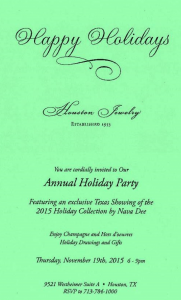 Join us Thursday, November 19th, 2015 from 6-9pm for our Annual Holiday Party and Nava Dee Trunk Show! 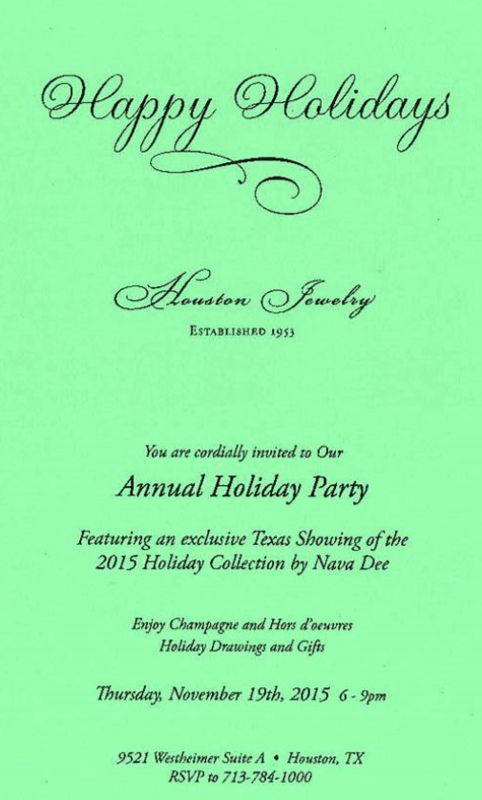 Come sip complimentary champagne and preview dazzling diamonds and fine jewelry from Nava Dee. The Nave Dee trunk show is one you will NOT want to miss. This stunning collection of fine diamond jewelry is sure to make anyone on your Holiday gift list happy this season. While this event has ended we have our Annual Holiday Party, well Annually! Join our newsletter today to avoid missing out on our party next year. Each newsletter is filled with information on events, jewelry tends, and information on the hottest new designers. We also inform you about upcoming trunk show, special exclusive discounts, and events that are only available to members of our newsletter. So sign up today to become a Houston Jewelry V.I.P. member to access all these exclusive offers and events.